It took us years to find this place despite being told where it was by local friends. You can so easily drive by the entrance and not notice it … It really is a secret waterfall , perfect for wild swimming undisturbed. It is more than 11 metre deep and has various platforms from which to jump. Nothing can be more invigorating than that fresh water and that 7 metres jump. Make sure you have good water shoes to help you climb back up … or somedody else to give you a hand if necessary. Plenty of flat rocks too so come prepared to chill out there / picnic if you want to stay on. 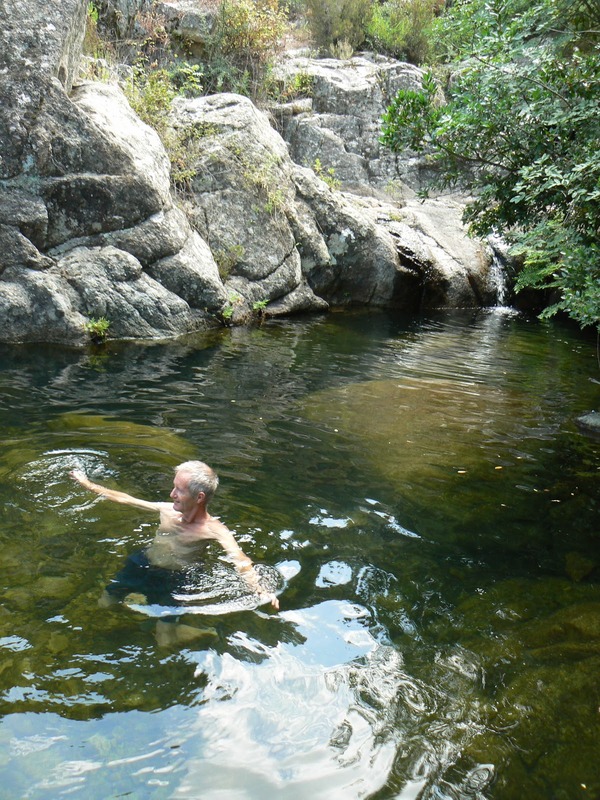 PS : the Perfugas natural swimming pool is accessible if you have proper shoes with a good gripping sole. By this I especially mean no heels or flip flops (a bit of scrambling is required) . Very young children may present a challenge to get there .It’s probably safer not to go with children younger than 6 years’ old. And as always, take your rubbish away with you. Cheers. I need to get to that waterfall!